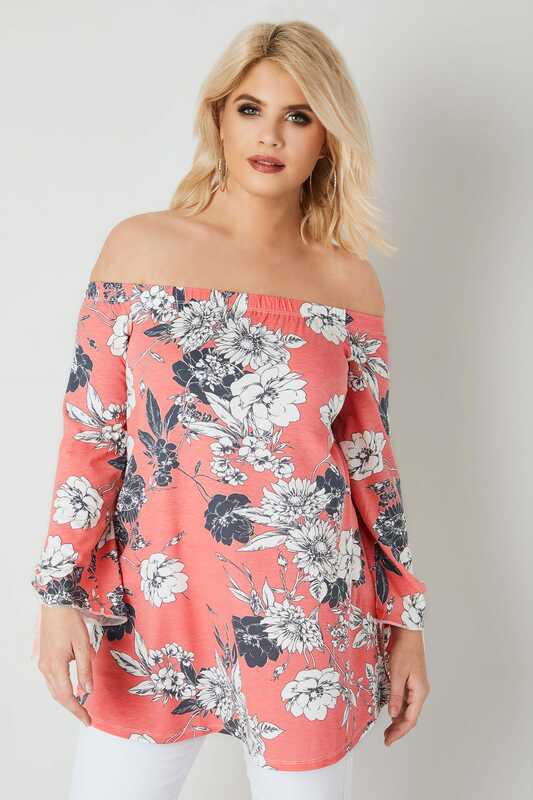 The perfect styling option for those warmer days, this chic Bardot top is made from a comfortable jersey fabric and features tie fastenings on the sleeves. 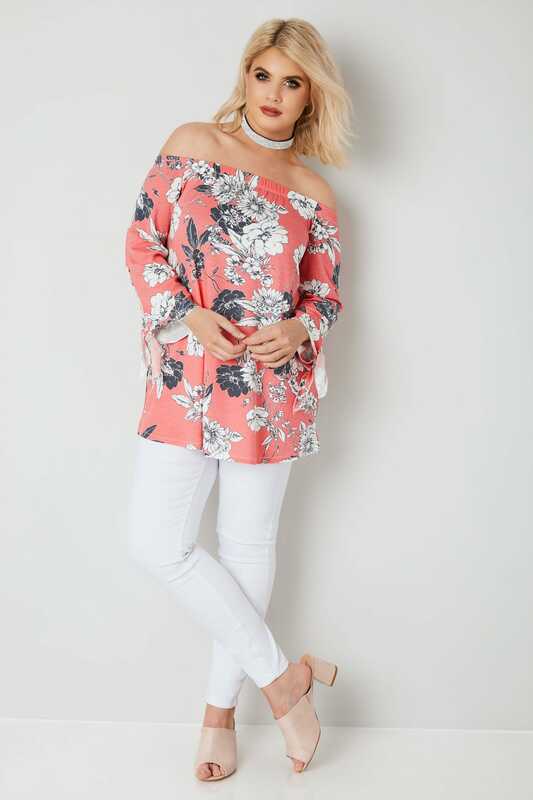 Team with denim and flats for an effortless go-to look. 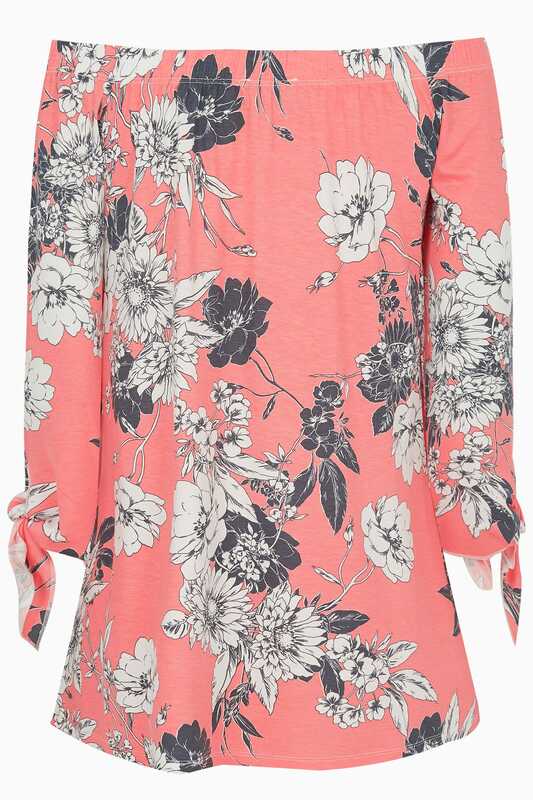 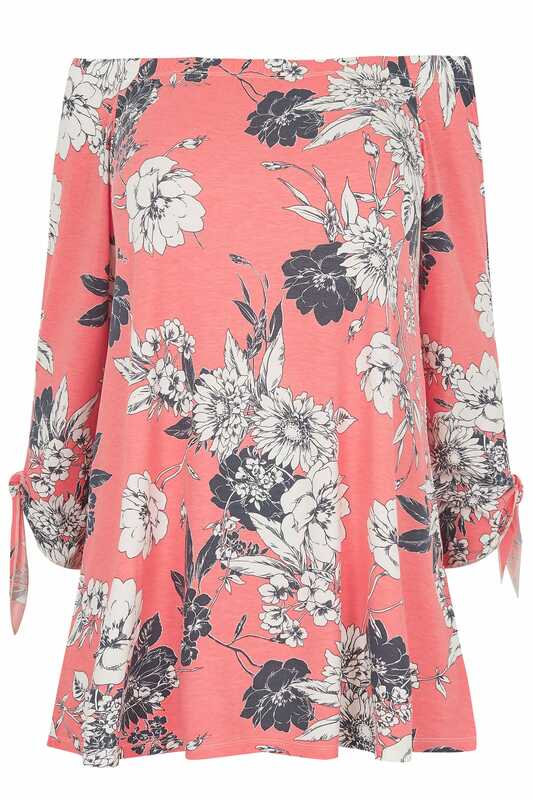 We love the coral hue and on-trend monochrome floral print.